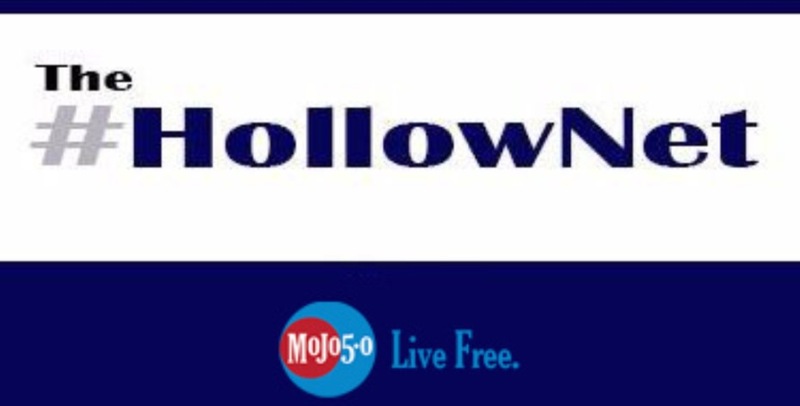 The HollowNet : YOUTUBE IS OUR BATTLEFIELD. CONSERVATIVES ARE LATE AND LOSING GROUND. YOUTUBE IS OUR BATTLEFIELD. CONSERVATIVES ARE LATE AND LOSING GROUND. Do you even YouTube? I’m not just talking about funny cat videos or your favorite jam to run the treadmill to. I mean do you really YouTube the way that Millennials do? Digitaltrends.com says that most millennials have replaced their television viewing with YouTube. Is it any wonder that the majority of millennials consider themselves to be Fiscally Conservative and Socially Liberal when the conservative media has been so slow to adapt? It is crucial that we turn to some hard figures in running this down. By checking vidstatsx.com for the most subscribed News & Political Channels on YouTube we can quickly see that this crucial battleground fell completely undefended to the Progressive Liberal media. Don’t believe me? In the top 100 channels there are TWO that I could readily identify as Conservative and one only in a joking manner: Fox News ranks at #47 and The Alex Jones Show ranks higher at #8. Who’s number one you might ask? Why The Young Turks of course. If you aren’t familiar with TYT you should watch a few videos, they regularly lambast and criticize conservative voices with TheBlaze’s Tomi Lahren being a favorite target. Where do you need to go to understand Millennials and engage on equal terms? Check the film channel and the gaming channel of course. What are two of the most profoundly weak fronts for conservatives in the 21st century culture wars? Hollywood and Silicon Valley. When we look to the Games & Gaming category on Vidstatsx.com there are a few standouts you need to pay attention to in order to gather some understanding: Markiplier(aka Mark Fischbach) who is the 27th most subscribed YouTube channel in the world, fourth in the gaming channel and ranks among the likes of the legendarily controversial PewDiePie (aka Felix Kjellberg) who still ranks number one on the Gaming Channel and number four globally and Irish YouTuber JackSepticEye ranking 35th in the World. The Theorist Media Group headed by MatPat (aka Matthew Patrick) and Stephanie Patrick bridge the gap between the Gaming and Film & Animation categories with The Game Theorist and The Film Theorist channels providing an excellent segue to the way that Millennials and YouTubers generally view film through a different lens with CinemaSins for example which is 21st in the category. Between FilmTheory and CinemaSins it's easy to see that Millennials take a very pragmatic and analytical view to even their entertainment. It's no wonder that while exhibiting the same more liberal social views of their Gen X predecessors my generation takes a far more practical view to the math and science behind life. Everything is subjected to scrutiny, analyzed for every possible tidbit and revelation before we are satisfied. The reason that conservative values are losing out with what will soon be the largest voting bloc in America is not because we are wrong. We are losing this battle simply because we are only just now entering the battlefield where our opponents have held uncontested dominance for over a decade. New channels like Lanterns.buzz and more established ones like TheBlaze are leading that charge but neither even rank on vidstatsx.com as of yet, so the force of the thrust must come from you. Do you want to win back our nation and insure that conservative values live on? Get on YouTube and get off of your TV, they threw you overboard twenty years ago anyway. It’s time to pull the plug.